Even though gallery shows are only a small part of what we do as artists, it’s true that presenting an exhibition at a high-profile place like the Art Gallery of NSW can really open up some unexpected doors. When The Yeomans Project occupied the Contemporary Project Space at AGSNW in early 2014, it popped up on Allan Yeomans’ radar. Allan, aged 80 or so, is the late P.A. Yeomans’ eldest son. He runs the Yeomans Plow business in the Gold Coast, and like his dad, is an author, inventor, and ideas man. Anyway, Allan and his wife Christina heard about the show, and decided to come down from the Gold Coast to see it. Which he pilots himself. That’s how those Yeomanses roll. 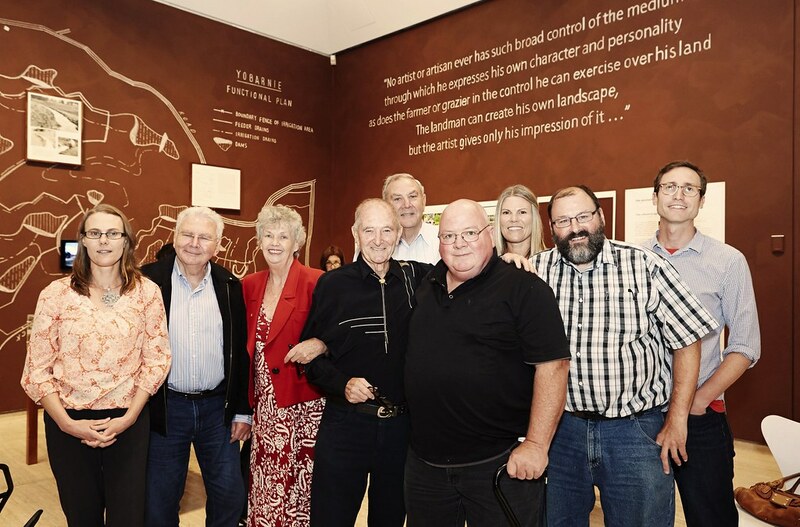 The Yeomans family + friends reunion at AGNSW. At far left is Wendy Yeomans. Third from left is Christina, Allan is at centre with black shirt and thin western tie. Ian Milliss in black at the front, behind him is Julie Yeomans, then Robert Yeomans in the check shirt. Lucas Ihlein is on the far right (hah! ), and I’ll add the names of the remaining two gents when I dig through my notes! On returning to Queensland, Allan and Christina told their friend John Sweet about the project. John is a retired farmer, also getting on to 80. He worked with P.A. in the late 1970s and early 80s on the Keyline redesign of Rugby Run, a huge property a few hours inland from Mackay. “Lucas, John Sweet here, from Mackay. Allan Yeomans told me about your project. I reckon you and Ian might be interested to work with me on something up here in Queensland”. “Well,” says John, “It’s like this. 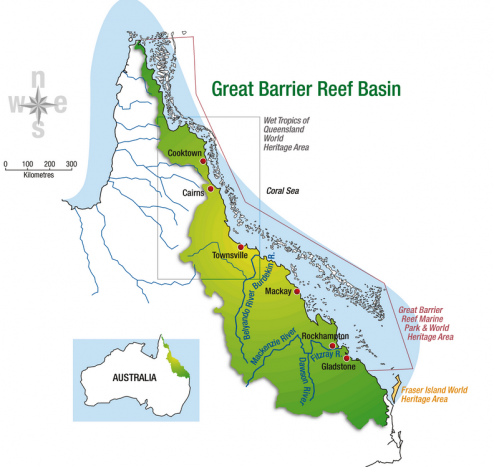 I want to Keyline the entire Great Barrier Reef catchment area”. Now, I don’t know much about Queensland, but I know it’s big. So after I got off the phone to John, when I finished laughing, I went and looked up the Reef Catchment area. It’s a strip about or 2100km long, and about 424,000 square kilometers in area. And pretty much choc-a-block with sugar farms. Map from here. 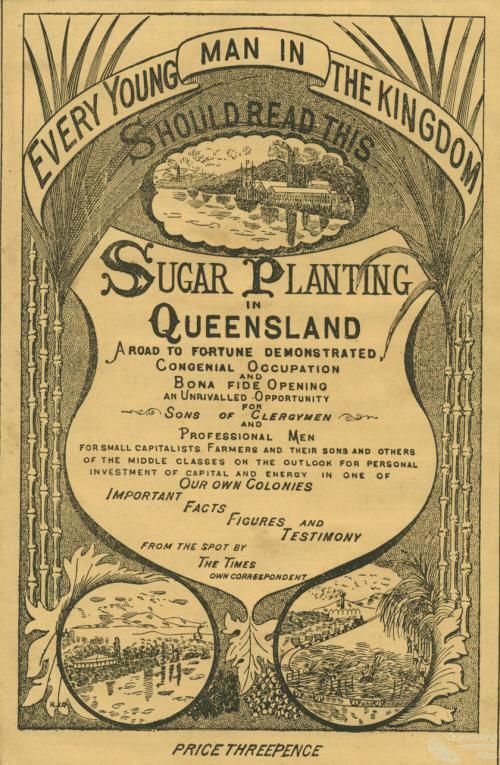 Lots of interesting stuff on that page about social history and ethnic diversity in North Queensland. This photo comes from Ecos Magazine. The article it accompanies, written in 2011, also outlines some of the positive steps that have been taken by farmers to reduce these problems. 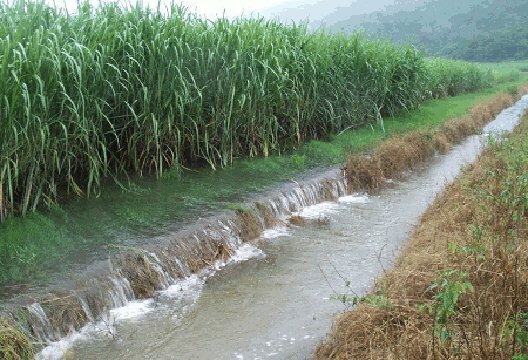 And so this is the theory: applying Yeomans Keyline practices to sugar farming would build up the soil so it’d hold more water, reducing run-off significantly. The soil would also be richer in organic materials, thus needing less fertiliser to grow a crop in the first place. From all the work we’ve done on Yeomans, and from our visits to farms, this all makes sense. But doing it on two thousand kilometers of farms? And in Queensland? This was just about the craziest idea I’d ever heard. Impossible. Imagine all the stakeholders – landowners, local councils, industry groups, processing mills. How could you ever convince everyone to agree to this? In this sense, the problem isn’t agricultural, it’s cultural. John Sweet is either a lunatic or a visionary. Naturally, we said yes. And that’s how it is that I’m on the outskirts of Mackay right now, sitting in the humidity in my boxer shorts, brushing away small flying kamikaze beetles, writing this blog post. This entry was posted in Farming, Sustainable agriculture, Yeomans. Bookmark the permalink. Post a comment or leave a trackback: Trackback URL. This is a wonderful post Lucas, we wished we’d seen it earlier. Impossible, you say? Insane? Never! But just to make things slightly more challenging, you could also convince sugar farmers to grow crops that actually produced food rather than addictions and obesity and diabetes epidemics. Now that really would be cultural transformation. thanks Patrick, Meg, Zephyr, Woody! You guys spent some time up that way on your big trip, right? Do you have some blog posts you could link to here about your observations and experiences? 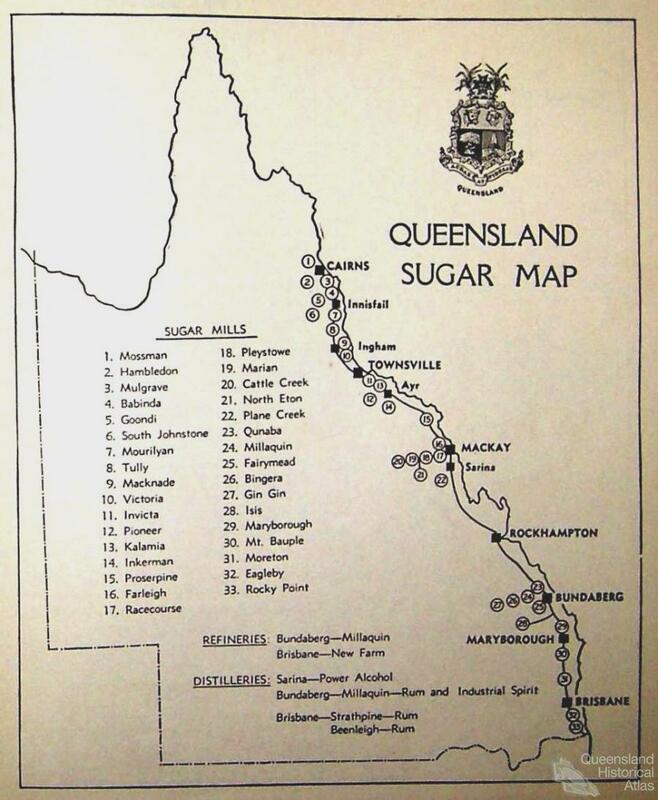 This post grumpily shows how we experienced QLD sugar country.